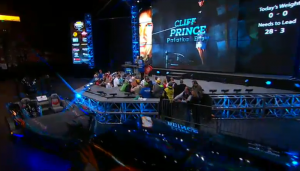 Cliff Prince » Bassmaster Classic Bound! As the “first man out” of the 2015 Classic, I had one final chance to be the “last man in’”. And, you’d better believe I took it! First, I needed to enter the Lake Norman Southern Open, and then I needed one of several things to go my way, More on all that, later. Back to the tournament. After two days of fishing, I had weighed in with 20.9 lbs. 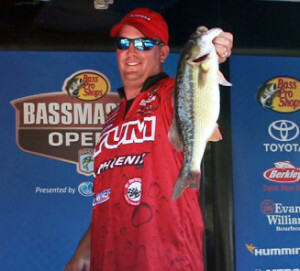 – good enough for 21st place at the Lake Norman BASS Southern Open. 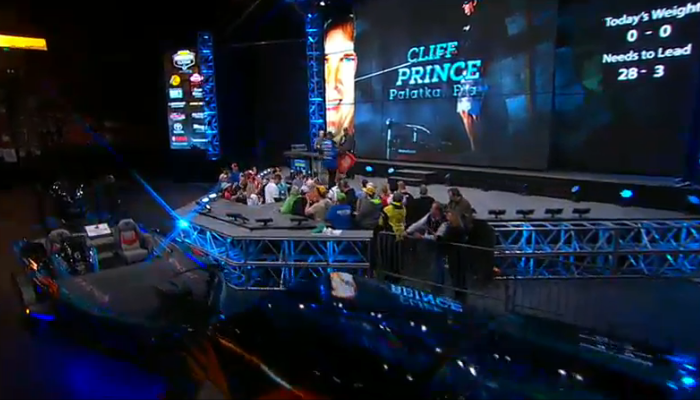 It was a great tournament, but one without a lot of big fish. I was really glad to catch the weight I did. I fished shallow and deep. Top water, shallow, and drop shot, deep. Just sent my bait straight down! They just didn’t seem to bite with long casts. I caught a number of fish deep, but only small ones – 14-inchers. I got most of the larger fish up shallow. I finished pretty decent in the standings, but didn’t make the final day’s cut. Next came the hard part – awaiting my Classic destiny. The next day was exhausting… waiting, constantly checking the BASS Blog for updates… and biting my nails during the final day’s weigh-in. I think I was more tired NOT fishing and waiting for the weigh-in results than I would have been fishing a third day! Day 1 at the Lake Norman Open. Of course, it took a strong finish at the AOY Lake Michigan Elite to make my outside chance at Classic qualification even possible. A good showing at the AOY event meant I still had a chance to get in. It put me “on the bubble”, right on the edge of making the cut for the Classic. 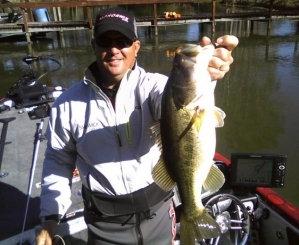 So, I decided to check on the possibility of fishing this year’s last Southern Open, and my wish was granted – thanks to Chris Bowes and BASS. With that, I decided to take a chance at shaping my own Classic destiny, which would lead to greatly increasing my possibilities of getting that coveted invitation! 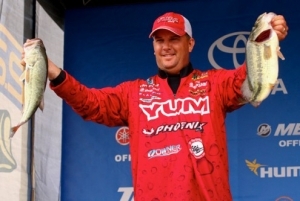 Basically, I needed one of the following things to happen at the tournament in order to secure a Classic berth: for a current Classic qualifier to win, becoming a double qualifier and bumping me in, or for a “newby” – an angler new to the 2014 Southern Opens – possibly even a local fisherman, to enter and win, sending the next Elite Series pro in line – me – to the Classic (only Open winners that fish all 3 Opens in a region get a Classic invitation). Actually, having not entered all three Southern Opens, I could have even bumped myself in – with a win. That didn’t happen. But, hey, as long as it happened, I didn’t care how it happened. And it did happen! 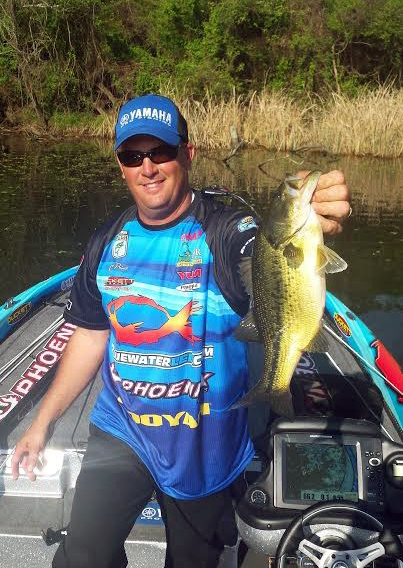 After it was all said and done, the Lake Norman Southern Open win went to the GREAT Andy Montgomery! By winning, Andy became a double qualifier… and my hero! I have now officially received my 2015 Classic invitation. Thank you Andy! Thank you, so, so much! 2015 Bassmaster Classic… HERE I COME!